NEXT CONTAINER DUE EARLY MAY - PRE ORDER SOLD ITEMS NOW!! 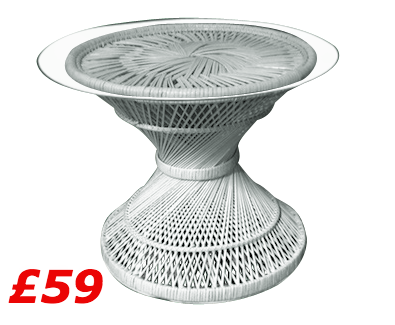 Delightful Twist Base Wicker Peacock Chair with a delicate grace and durable strength. 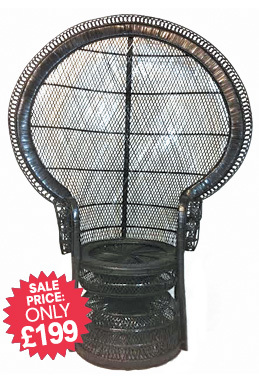 Beautifully detailed Rattan Peacock Chair with inlay detail and a retro bohemian feel. 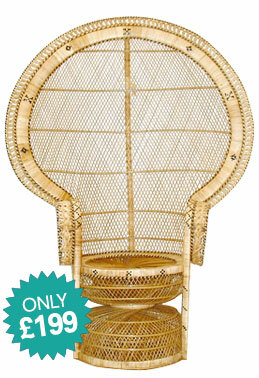 Stunning High Back Wicker Peacock Chair with an iconic 70's retro look and hong kong base. 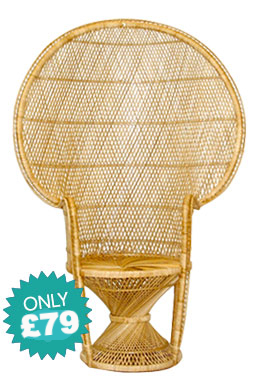 Intricately designed Rattan Peacock Chair with an exquisite vintage look and natural beauty. Beautiful rattan Peacock Chair with intricate inlay detail around the chair and seat base. 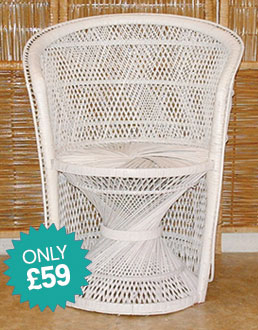 Striking smaller Rattan Peacock Chair with a 70s' retro feel and a strong reinforced frame. 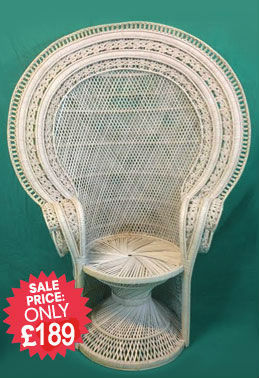 Delightful Twist Base wicker Peacock chair with a delicate grace and sized for smaller rooms. Beautifully made small occasional chair very comfortable with a quirky retro feel . 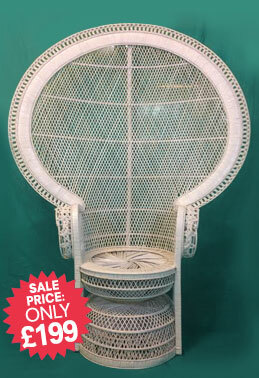 Delightful Wicker Peacock Chair with retro charm, exquisitely finished with a strong double weave . 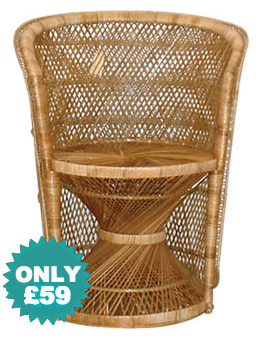 Double Weaved Wicker Chair, strong and eye catching, ideal for dining or smaller spaces.